The global demand for new biologics and vaccines, combined with the growing emergence of biosimiliars, is challenging drugmakers to re-evaluate their processes and seek ways to make them more flexible, reliable, and cost-effective. Increasingly, manufacturers are turning to closed, singleuse processing systems to meet aggressive campaign turnaround times, reduce risks, and control costs. Innovative single-use technologies provide biopharmaceutical manufacturers greater flexibility for replacing traditional stainless piping, valves, equipment, or even entire process suites with polymer-based solutions. 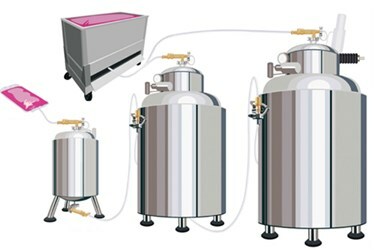 The benefits of converting to pre-sterilized, single-use systems have been documented in numerous articles and case studies, and these benefits would be lost if manufacturers could not safely and securely connect a variety of systems and components together to create a complete aseptic process.